It’s here! My semicolon is now permanently inked to the inside of my left wrist. I’ve attached the video I took of the whole process. 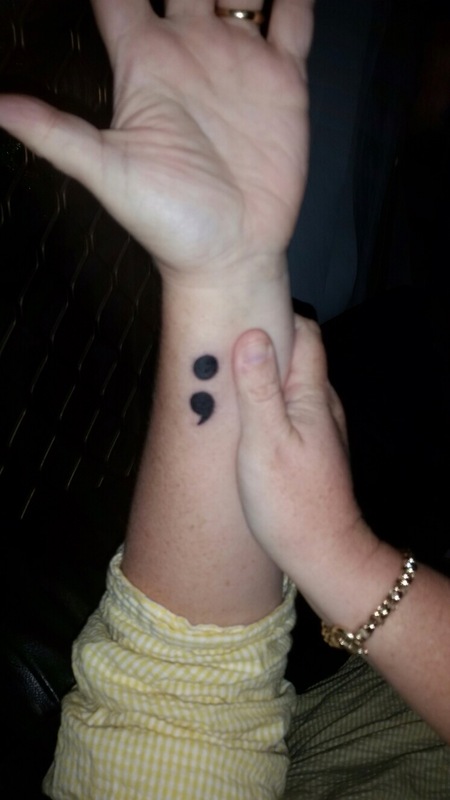 I had the opportunity to share the story of The Semicolon Project while he tattoo’d my arm, so I’ll let it tell its own story. Aron from “Gothic Realm” does an excellent job,of both tattoos and listening! Please read back over my blogs to see the rest of the story and feel free to share.